One of our favourite shows over here is My Little Pony. Emily and I love seeing all of the adventures that come out of Equestria. We often stop for snack time and curl up with a good show. It's fun to laugh together and watch something both of us enjoy. In between all of the craziness and running around that goes on for the rest of the day, this was perfect for an afternoon or evening of relaxation and cuddles on the couch! 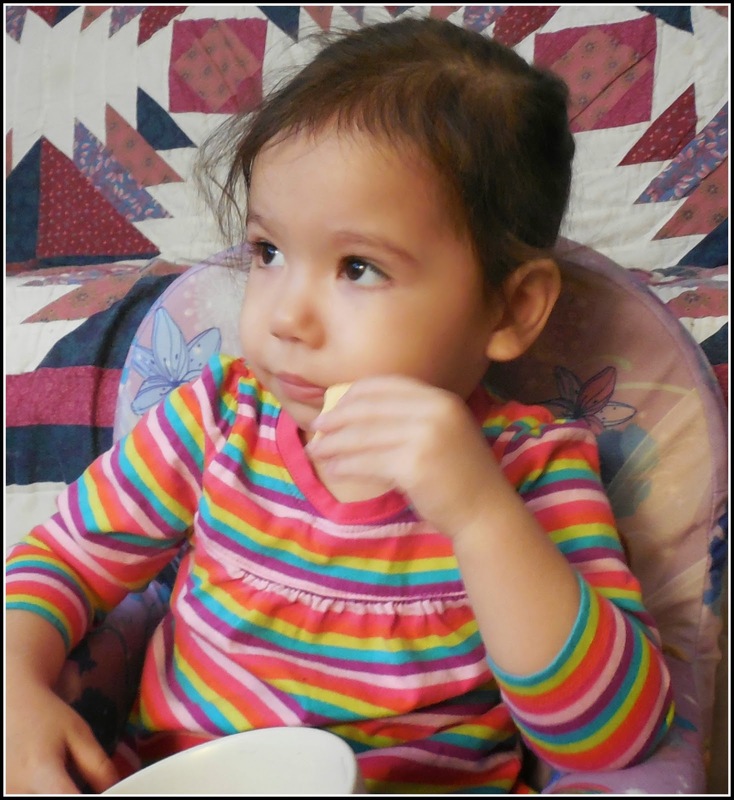 Emily focused on snacking and My Little Pony. We like Rainbow Dash, she is always up to something interesting. I appreciate that this show encourages 'everypony' to use their imaginations and explore new things. In five exhilarating episodes, this DVD follows her and her best friends Pinkie Pie, Fluttershy, Twilight, Applejack, and Rarity. The episodes that stood out the most to me were about Rainbow Dash's favourite book, and her hero. I felt like they had great messages to pass along to Emily, especially with her entering school in the next couple of years. They shed importance on being an individual, acceptance and friendship while still being fun, adding a touch of magic. Rainbow's enthusiasm was very contagious. Emily mimicked her emotions, feeling sad, mad, and extremely excited as the stories continued on. 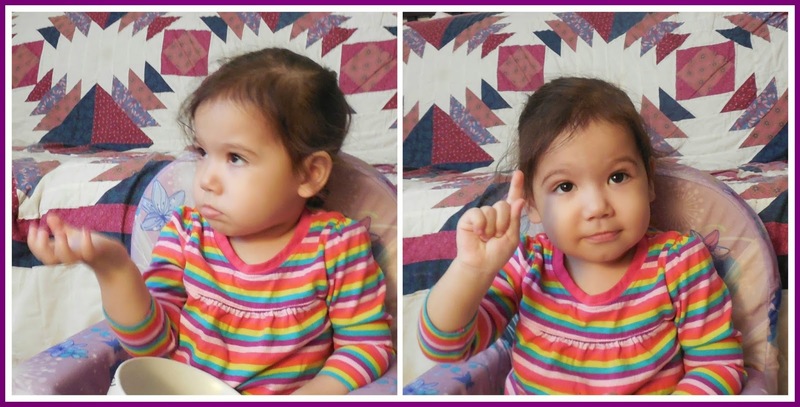 She tried to sing along to the songs they sang, and when she couldn't quite figure out the words (she's 2.5), she would get up and dance instead. I could see a light come on in her eyes when the ponies were overjoyed about something, or when they figured something out, she would have her own "A-Ha!" moment. Emily, having her own "A-Ha!" moment. 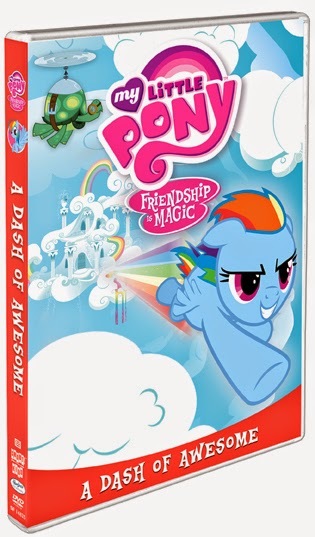 Overall, I thought this was another wonderful addition to the My Little Pony: Friendship is Magic collection. With new adventures happening all of the time, there's sure to be something that most children will enjoy in this series! I look forward to seeing what the next one has in store for us. You can buy a copy of your own here! 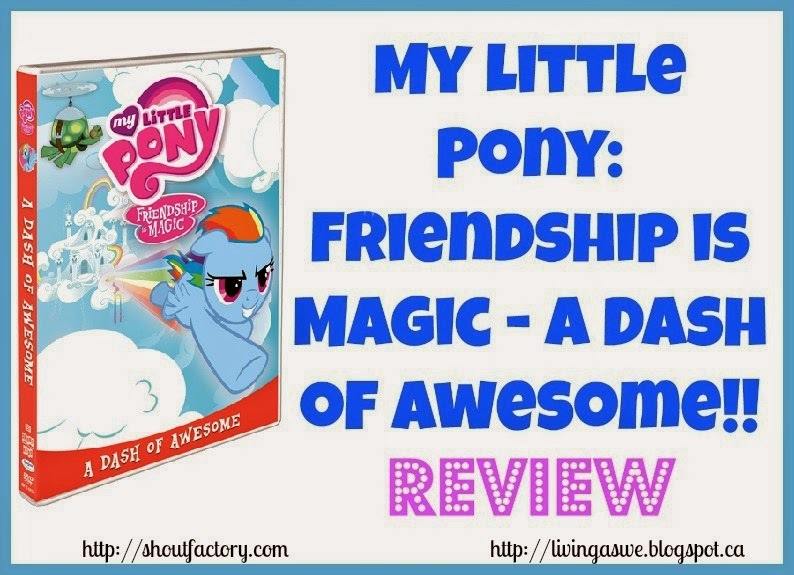 Find the rest of the My Little Pony Collection here! I received a copy of this DVD in order to conduct my review. As always, opinions are 100% my own. My daughter loves My little Pony! Such a cute show for girls of course! My daughter is so into My Little Pony now. She would love this DVD. So cute. My kids love My Little Pony. i love my little pony, i use to collect them when i was younger. now i watch it with my niece. I'm looking forward to watching my little pony when my niece is about 1 year older. Great movies for learning! I used to watch them with my kids! I never watched this as a kid but I always see the toys at the super market and think they are so cute! The kids here all love My Little Pony, but mostly it's a teenage thing here in my part of the world. It's not the same My Little Pony as when my older kids watched it. I find a lot of the teenagers around my neck of the woods are in the same boat, all about the MLP or just other cartoons/video games in general. My daughter loved My little Pony for years and years now my granddaughter loves My little Pony! This was one of my favorite toys as a kid! I also didn't know that it was so popular once again. My niece will love the videos. Thanks for the review! Thanks for stopping by Michelle! I'm glad to see it has made a comeback. :) Hope your niece loves them! My daughter just turned 3 and has just shown interest in My Little Ponies. I used to watch them as a kid and I know my daughter will enjoy them just as much! This looks like a really cute one. I remember watching My Little Ponies and the Smurfs when I was younger. Who knew that they would still be around today. I remember having the Stable which became the carrying case when it was closed up, and having rollerskates and costumes for the ponies. The things I could have kept!.. Yes! The Smurfs were awesome. :) I hope Emily winds up liking that show as well. lol I bet a lot of people are kicking themselves for not keeping their old toys/clothes now that they're all coming back. Thanks for reading! I've always loved My Little Pony. Such cute shows! This sounds fun. I used to watch MLP back in the day. Haha, this looks cute! I started watching this with one of my friends a few months ago :P silly (and a little childish), but some great messages!